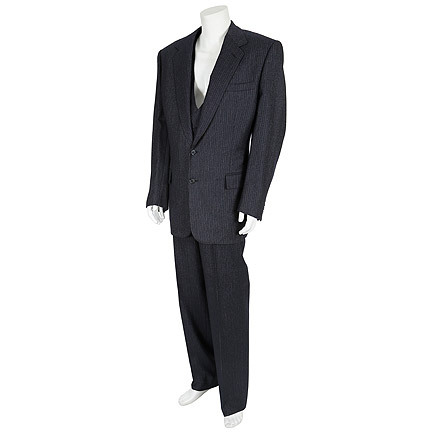 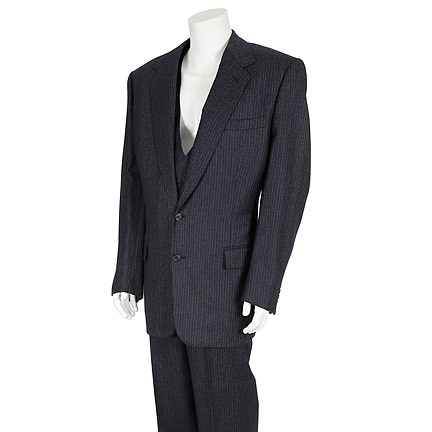 This three-piece suit was worn by the character “Jackson Harglow” portrayed by legendary actor Charlton Heston in John Carpenter’s 1994 picture “In the Mouth of Madness” starring Sam Neill and Jurgen Prochnow. 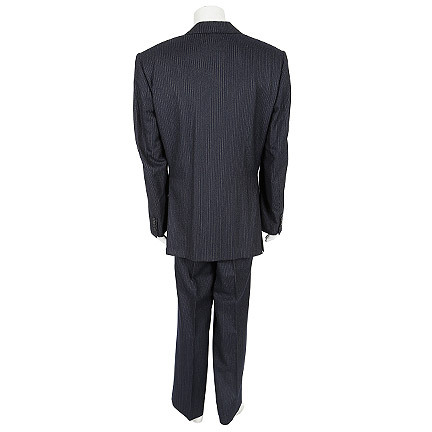 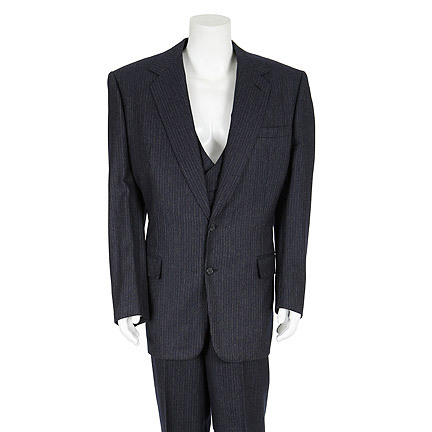 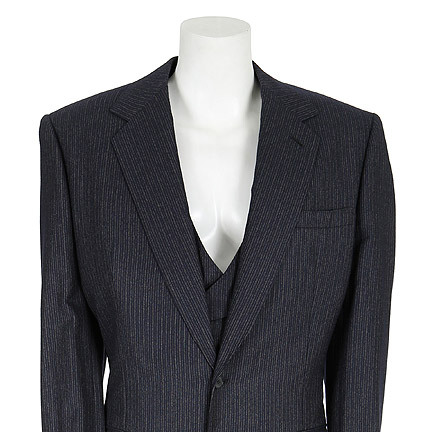 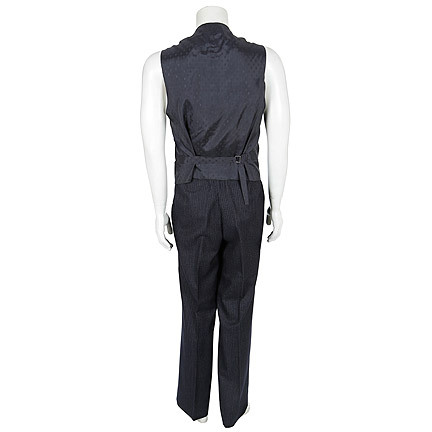 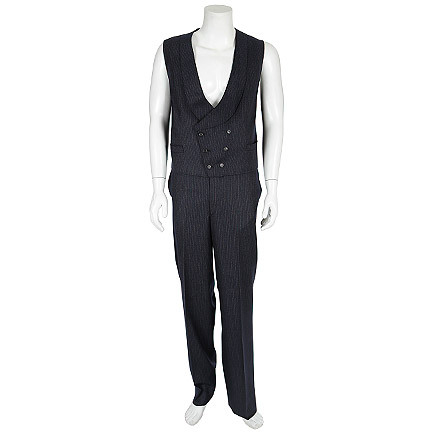 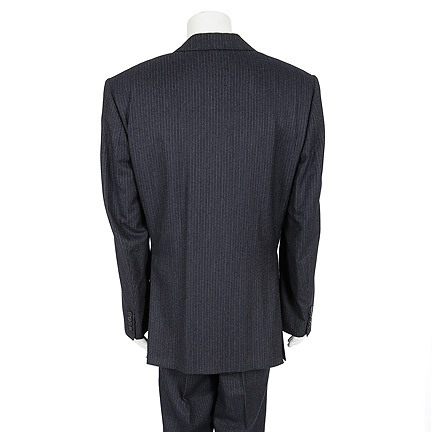 The suit was custom tailored for Mr. Heston’s use in the production and is comprised of a dark navy pinstriped coat with flap pockets, matching double-breasted vest with satin back, and pair of matching pants. 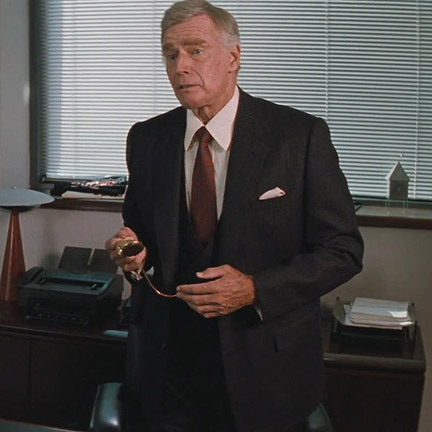 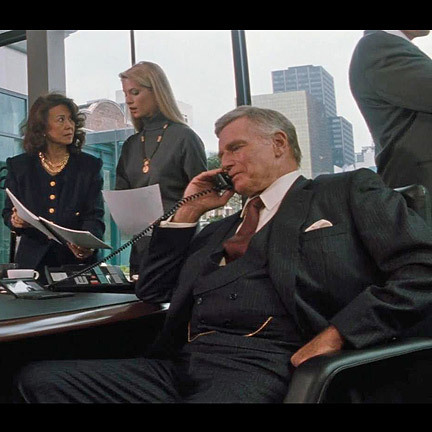 Mr. Heston can be seen wearing the complete suit in a scene near the beginning of the picture when insurance investigator “John Trent” (Sam Neill) meets with publisher Harglow at his office and is hired to investigate the disappearance of one of Harglow’s star writers, “Sutter Cane” (Jurgen Porchnow). 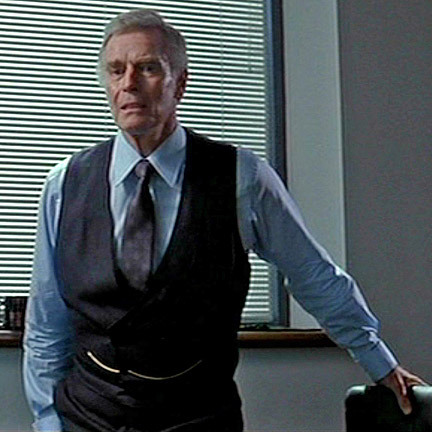 Mr. Heston again appears onscreen wearing the pants and vest near the end of the film when a clearly shaken Neill attempts to explain the unusual phenomenon surrounding his investigation of Cane’s disappearance. 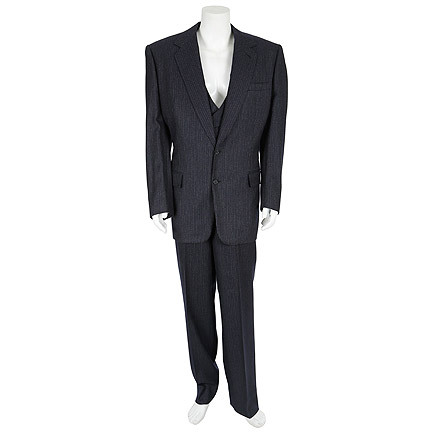 The suit is in excellent screen worn condition and is accompanied by a letter of authenticity.